A short story about "The beginning of the Rotary Club of Willowdale"
It all began one cold dull morning in January 1952 at the Dominion Bank at Drewry and Yonge Streets in Newtonbrook. The Bank Manager at the time, a young chap by the name of Don Sheldrick was seated at his desk patiently waiting for some poor soul to brighten his day by asking for a loan. After two hours of playing solitaire a man finally ushered into his office. This man did not require a bank loan; there were more important things on his mind. His name was Norm Grainger, a Past President of the Rotary Club of Leaside and he had been assigned to do a survey in the Newtonbrook area with the thought in mind of chartering a new Rotary Club. As business was not exactly booming that morning, Don telephoned Hartley MacCallum who ran the I.G.A. store next door, to come over, meet Norm and hear what he had to say about a Service Organization called Rotary. This was the actual beginning of the Rotary Club of Willowdale. Hartley approached his partner Chuck Chittenden and Don approached some of his bank customers who in turn asked their friends and acquaintances until a group of 25 more or less strangers were gathered together to form the nucleus of a new Rotary Club. The first pre-charter meetings were held at the Bank with Norm and Wilf Taylor from the Toronto Club attending. As the membership grew the pre-charter meetings were held at the Forest Hills Golf Club at Bathurst and Drewry where a weekly luncheon was held. A President and Board of Directors were set up and a charter was granted from Rotary International. Jack Johnston and Norm Ballard attended the District Conference in Niagara Falls, Ontario before the charter. Charter night was held at Drewry Ave. Public School on Thursday May 1, 1952. The guest speaker was District Governor Ken Partridge. It wasn't exactly a grand affair, such as we are accustomed to nowadays. Strictly a stag evening, without too many frills, just the customary speeches, presentations and replies. The first regular meeting was held on Thursday May 8, 1952 at the Forest Hills Golf Club. As we were near the end of the Rotary year the Board of Directors was to continue for 1952-53. Norm Grainger and Wilf Taylor attended these early meetings. Vital statistics: June 1951, there were 7,334 Rotary Clubs and 346,000 Rotarians in 88 countries. 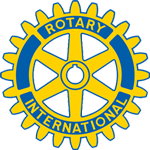 Today there are approximately 31,000 Rotary Clubs and 1.2 million Rotarians in 166 countries.